The head of Flywheel and author of 'Extreme You' shares why she is not afraid to take risks. 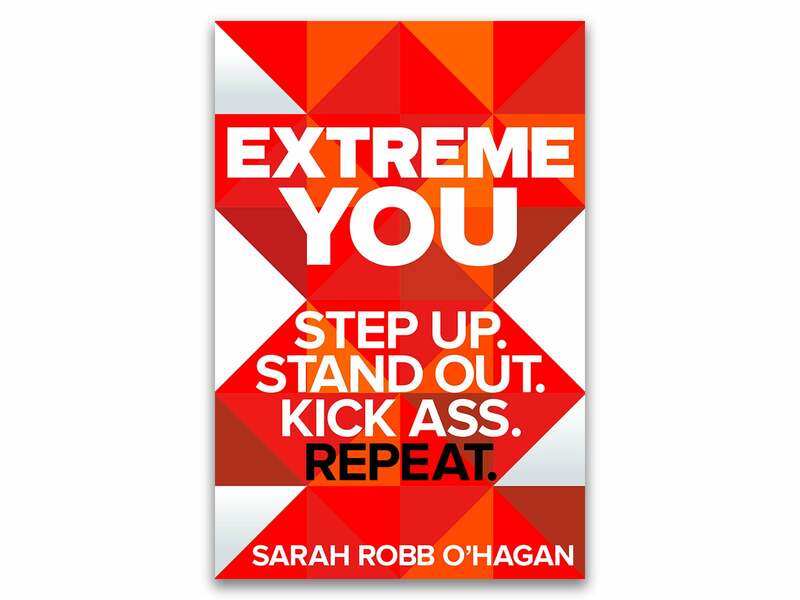 Sarah Robb O’Hagan's resume is filled with big name brands such as Equinox, Gatorade, Nike and Virgin Atlantic. Now she sits at the helm of one of the most well-known fitness brands since being made CEO of indoor cycling company Flywheel in February of 2017. But the road to her current role was a long and bumpy one. She recalled getting ready to walk onstage to give a talk. But when she heard the biography that was used to introduce her to the audience, something felt off. That was the impetus behind what became her organization and book of the same name, Extreme You. She interviewed people as varied as Will Dean, the founder of Tough Mudder, and former Secretary of State Condoleezza Rice to figure out the drivers of their success. She found that even when people came from very different backgrounds, there were commonalities between how they approached their work. We caught up with Robb O’Hagan for a wide-ranging conversation about how to not let failure define you and how to change your perspective about what constitutes taking a risk. What tips do you have for identifying and leading with your unique strengths? It starts with a real commitment to getting to know yourself. You actually have to get out there and really do things to experience for yourself where you thrive, where you shine, what you love and frankly where you're not good. I think once we really commit to getting in there and try and experience that is when you start to discover your unique strengths and what I call specialties. What’s your best advice about bouncing back from failure? I really believe that failure is such an important part of personal growth. I feel like in the last 10 to 15 years in the crazy social media world that we live in where everyone is posting perfect pictures and perfect resumes, it causes people to be incredibly scared of failing. There is a real stigma around it. If you haven't failed you haven't discovered the real potential that lies within you. I've had extraordinarily big embarrassing failures in my career. I was fired twice in my 20s back to back. That was a really tough time where my confidence was shaken. But how do you bounce back from that? It's about really sitting with it and really wallowing in it. You've got to feel the pain to start to get to the place of examining what you actually did to contribute to that failure, which frees you up to own it and move forward having learned from it. What do you do to prevent feeling burned out? What do you do that makes you feel energized? I’m a big believer that physical fitness is the grounding for your sort of overall mental and emotional fitness. Every single day I will make sure I get my exercise in and it just gives me energy. I learned the hard way earlier in my life when I had very small children and I would give up on exercise because I thought I couldn't fit it all in. Those were the times in my life that I got the most drained and overwhelmed by work. And so I learned that you have to start with that time to just physically express yourself and find your energy that really fuels you for the day. What strategies do you employ to stay focused on your goals? I eliminate anything that doesn't matter to what I'm focusing on. And I think that's a great lesson that came through from all the amazing people I interviewed in my book. They are some of the world's most successful people. They frankly tune out the opportunities that aren't relevant. That can be really hard to do, especially at the start of your career. But having the courage to say no to the short-term financial windfall because you are holding out for something longer term, whatever it may be, is a really important lesson because that helps you focus on the goals that you have. What is your advice for not being afraid to take risks? It's all about reframing what risk really is. I think we get into our own heads and we let the fear of failure stop us from doing things we want to do. If you tell yourself that I'm going to take this big risk and the upside is that it plays out and the downside is that it's an epic fail. If it's an epic fail, it ultimately takes me on to greater places anyway because of what I will learn from it. Then you change the whole conversation in your head and you suddenly realize that it's actually more risky to do nothing at all and to stand in the middle of the road than it is to actually just take a big risk and go for it.